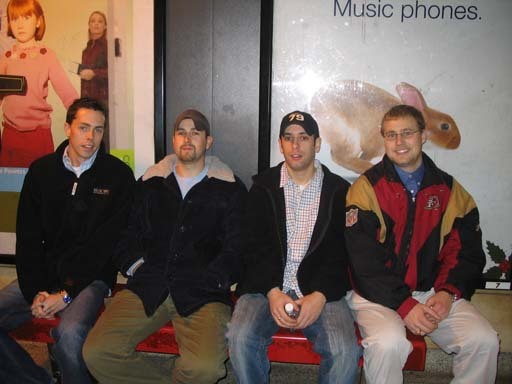 This is us waiting for the subway to come and take us to the Eaton center. For those that don't know. 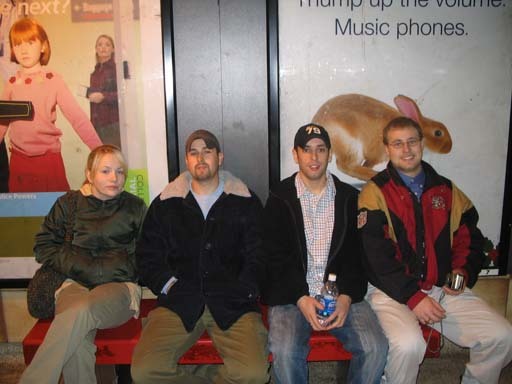 We took the subway everywhere. It was a really cool way to travel and to be with your fellow man. 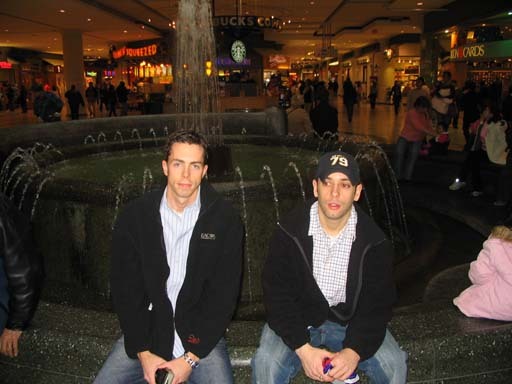 Richie and Johnny sitting in front of the fountain at the Eaton center. The fountain sprays something like 30 or 40 feet in the air at times. 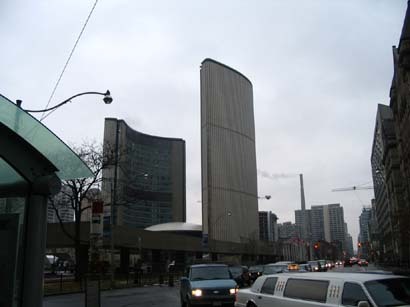 This is the outdoor skating rink outside the Toronto town hall. 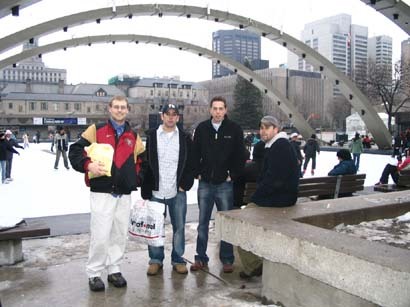 They were having a drive for the food bank that day and were giving away free winter toques. Katie went and got everyone a winter hat. The hat "This is wonderland" stamped on them. The TV show that airs on CBC. The actors themselves were handing out the hats. None of us really picked up on it until we had wondered down the street a bit and realized we met the actors of a Canadian TV show. After supper we went our separate ways. John, Richie, and Katie had to go to the airport to catch their plane. Me and Johnny had one more night to stay in TO. We were going to stay at his wife's brother�s place. So we bid each other farewell and me and Johnny caught a train car for a 45-minute ride. The person we stayed with was Cas. He was a really cool guy. He was into star wars. Cas also had a friend over who was really into star wars. 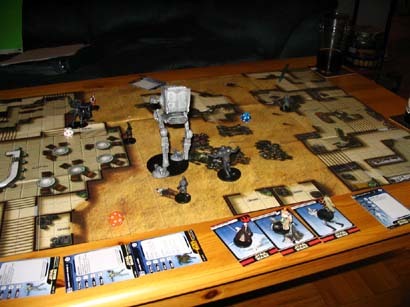 So me, Johnny, Cas, and cas' friend Mike all played a star wars dungeons and dragons board game (pictured above). I must say I liked it. I wouldn't buy it, but I would play it again. The next morning me and Johnny got up and went home via airplane. Overall the trip was a blast and I would do it again. It was a lot of fun.